Podcasts began life in the 1980s, when the genre was known as ‘audioblogging’. They really began to take off in 2004, with the rise of broadband internet provision and portable digital devices such as the iPod. It was the dramatic rise in the popularity of listening to audio blogs on the iPod that led to the term ‘podcasts’ being coined. The main thing you’ll notice about podcasts is that they are not in video format. Many don’t have imagery at all, while some will have static graphics. This makes podcasts an excellent way for those with visual impairments to engage with and gain information on new topics. And just about everyone will find them ideal to listen to whilst driving or getting on with mundane work. In the case of studying, good podcasts on the topic can enhance written information, and add another layer of knowledge and understanding. With fewer people living in properties with large gardens, you might expect to see a lack of interest in gardening as a podcast topic, but the trend seems to be the reverse, perhaps because those writing, blogging, and podcasting about gardening have realised the need to move away from talking about lawns and shrubberies to address socially-relevant topics such as self-sufficiency and working with small spaces. This is a long-running BBC Radio 4 show and I am obsessed with it. I don’t even have a garden yet (moving to my dream home in a few months) and I’ve never really done any gardening. As a result I don’t have the first clue what they’re talking about, but it’s great nonetheless. You have an audience of amateur gardeners who ask questions to a panel of experts. The experts have a variety of posh British accents and seemingly know everything about everything. They explain the lives of plants and vegetables with great clarity and humour, and the audience are always very appreciative. They cut in a few gardening news items and a short investigative piece. If you’ve ever watched and enjoyed The Great British Bake Off, this will all seem very comfortable. It’s like slipping into a warm bath, knowing there’s a chilled glass of bubbly waiting for you. This video gives you an idea of how it goes, but the recording quality is far short of what you’ll get via your podcast app. A public radio show that runs for around an hour, with a focus on gardening and plants in America’s Southern States. The host, Felder Rushing, is very much a laid back Southern boy, warm and welcoming, and informative without being patronising. The overall tone of the podcast is light hearted and down to earth, with pertinent information sprinkled through casual, engaging conversation and lively discussion. This is an engaging podcast which actively seeks to connect with listeners. Its length makes it a good way to get through a long commute, although as with most public radio podcasts, it might benefit from being edited, to reduce the radio chit-chat, although some people may feel this enhances the experience of listening to the podcast, and adds a level of enjoyment. Good For: Long commutes and lazy Sundays. Another podcast that complements a good, clear, and informative blog, this podcast presents good quality information in a non-patronising way. It introduces professional products by discussing everyday equivalents. Where more scientifc concepts – such as that of a symbiotic relationship between plants and fungi – are introduced, these are discussed in a way that doesn’t assume ignorance of the subject, but provides the necessary information for those who may not be familiar with the terminology. This podcast is very intimate in approach, inviting listener engagement and response. The only downside is that there is no clear guide as to how long each episode will last. This makes the podcast more suited to weekend easy listening than the weekday commute, but that’s not necessarily a bad thing. Good For: Weekend easy listening, relaxation, unwinding. 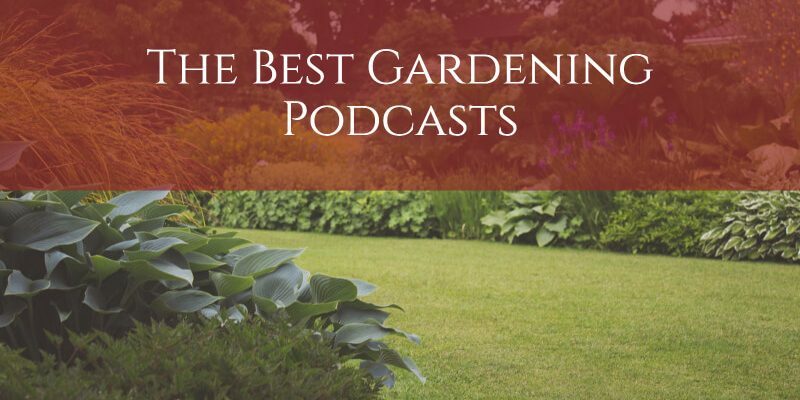 A podcast from Britain’s leading name in in-depth gardening, plants, and horticultural, this podcast features short episodes (under 30minutes) that are ideal for lunchtime listening while at work, or for quickly catching up on a topic. Unlike other, more grassroots podcasts, the RHS offering isn’t particularly good at giving engaging descriptions. It also seems very much geared towards the older listener, and those who have a large garden to work with, and plenty of indoor space. It seems as though the RHS is just using the podcast to add another arm to its distribution, rather than, as other podcasts do, using the medium to address things a little differently than they might in print, or on a blog. The podcast also uses slightly misleading titles, sometimes coming close to being clickbait by mentioning ‘celebrity’ names, when those individuals’ contributions only make up a fraction of the wider podcast. It does include a range of contributions, and covers some interesting topics, such as an interview with Britain’s leading flower artist. Good For: Unwinding before bed, lunchtime listening. The following podcasts are great but don’t seem to be updated any more. Still, there are plenty of episodes to enjoy! This is a short, informative podcast which complements a relaxed, low-key blog. In both the podcast and the blog, come from a place of genuine passion and interest, and that comes through really strongly in the podcast. The podcast itself is rich in visual description, with the breathy, talking-to-a-friend quality of the narrator really drawing the listener into her world. It’s almost possible to see and smell the plants that are being discussed. 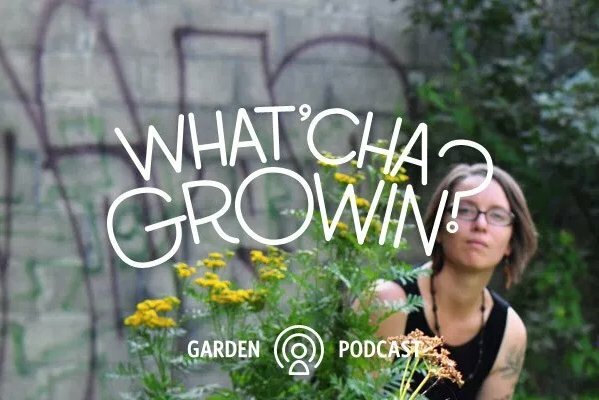 While this isn’t an in-depth horticultural podcast, it does offer casual information for those who like plants and gardens, but aren’t looking to get in too deep with technicalities. This casual yet pertinent approach continues with references to particular plants, with the Latin names avoided, and a lot of description given, making it easy for listeners to picture particular plants in their own garden space. Good For: Easy to digest information, light listening. Companion podcast to the You Grow Girl blog, this offers a lifestyle program with a gardening element, in contrast to more “traditional” gardening podcasts, which do it the other way around. Making the lifestyle element the main focus, with gardening being a part of a wider sociological spectrum, rather than trying to shoehorn the concept of lifestyle into an in-depth discourse on plants and gardens, broadens the appeal of the program, attracting listeners who may be put off by more formal, gardening focused podcasts. At around an hour, this podcast is the ideal way to liven up the morning commute, or take your mind off the housework. Offering insights and heads-ups, not just information, this is an ideal podcast for those who are interested in plants, self-sufficiency, and sustainable permaculture, but may not have their own green space at the moment. Good For: Millennial listeners who are interested in sustainable permaculture, people who are interested in plants and gardens, but don’t have their own space, background to commutes and housework. When podcasters understand that the purpose of a podcast is to provide good quality, relevant, relatable, and informative content to audiences who may not be drawn to print media or blogs, the topics associated with plants, gardens, and permaculture translate well into the podcast format. Without the benefit of video or graphics, it is necessary for hosts of gardening podcasts to be able to create deep, vivid, visual descriptions in order to draw listeners in, and give a similar feel and experience to that offered by print articles and blogs.